solve the case of the missing fossil! A fossil has been stolen from DinoDigs at Orlando Science Center! We have eyewitness descriptions and clues left at the scene. Make your detective badge, review the evidence, and head on over to Dr. Dare’s Detective Lab to solve the case! You’ll get to analyze the evidence with real-world forensic technology and techniques, like chromatography, soil analysis, and fingerprinting! 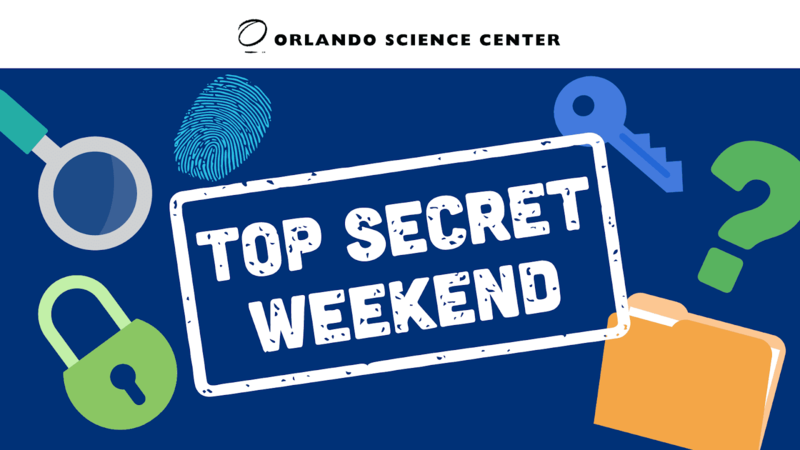 Plus, after you figure out who stole the fossil, participate in a building-wide puzzle using a cipher that will help you determine the secret password to unlock a hidden page on our website. Fun surprises await! 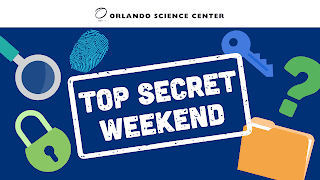 Saturday, March 24 & Sunday, March 25 from 11 a.m. to 4 p.m.
Top Secret Weekend activities are included with daily general admission to Orlando Science Center, which is free for members, $20.95 for adults, $18.95 for seniors and students, and $14.95 for youth (ages 3 – 11).